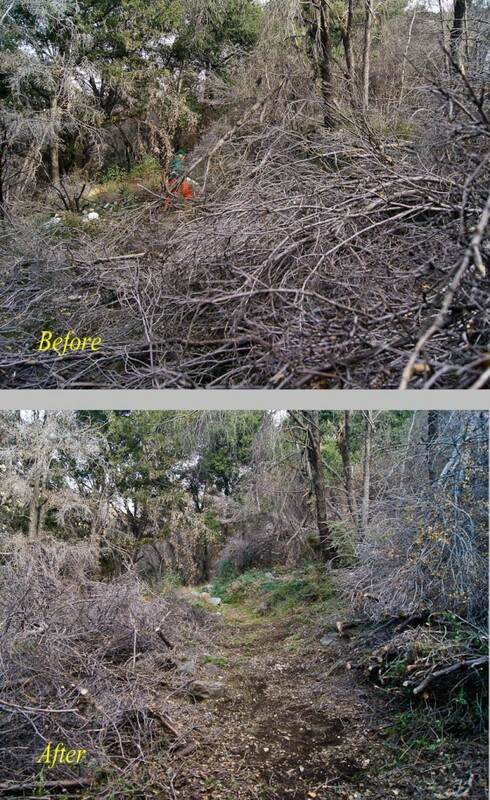 After lunch, Steve Messer and Mike McGuire continued working to remove a 60′ long stretch of downed trees near the start of the trail, shown in the before and after photos below. 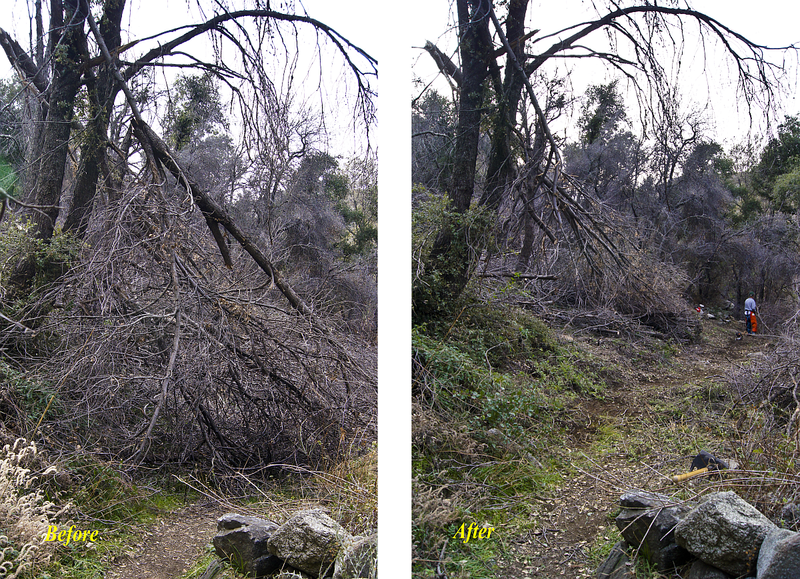 Therewere multiple trees piled up and strewn across the trail. Some of these trees had been down for some time, as a bypass trail was very well established. 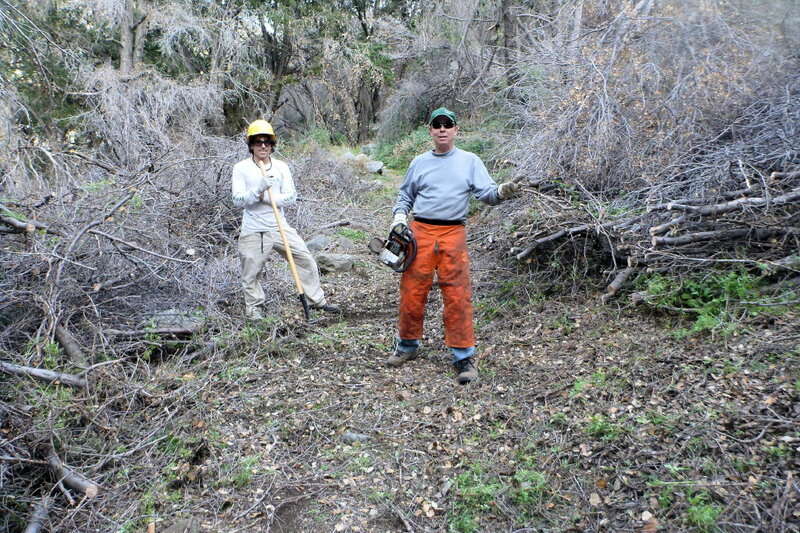 That bypass trail was further buried in the brutal windstorms of late November, when several more trees fell in the same location. 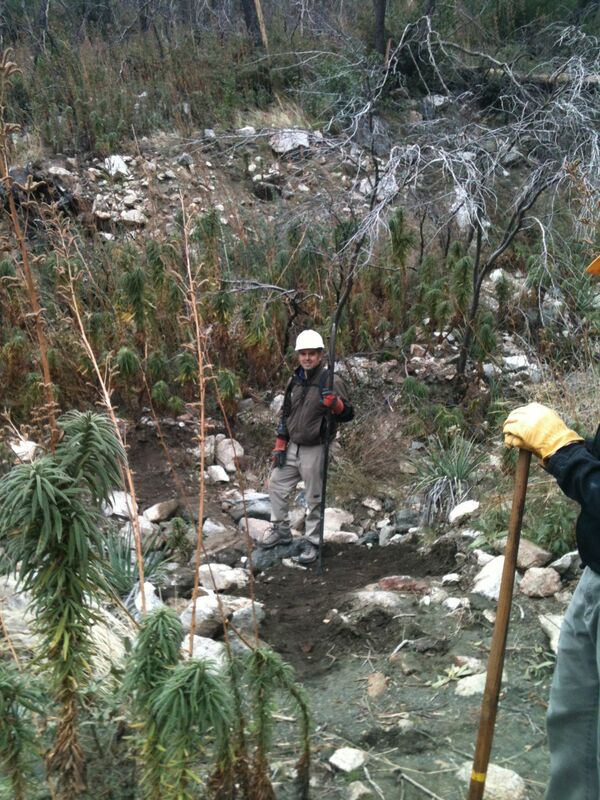 The two were able to clear out the original trail and close off the bypass. As of our last inspection after the day’s work, one drainage still needs repair, and one downed tree needs to be removed. 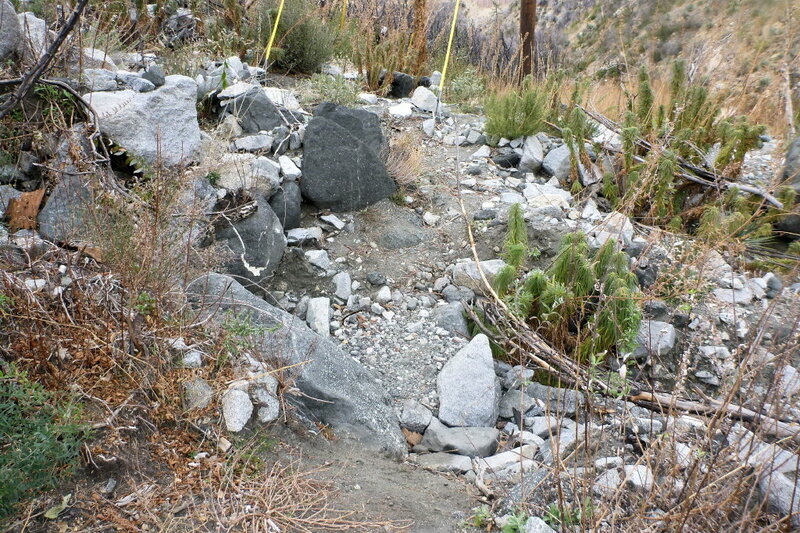 The “waterfall” rock garden has become much more technical, and most will want to hike that section. 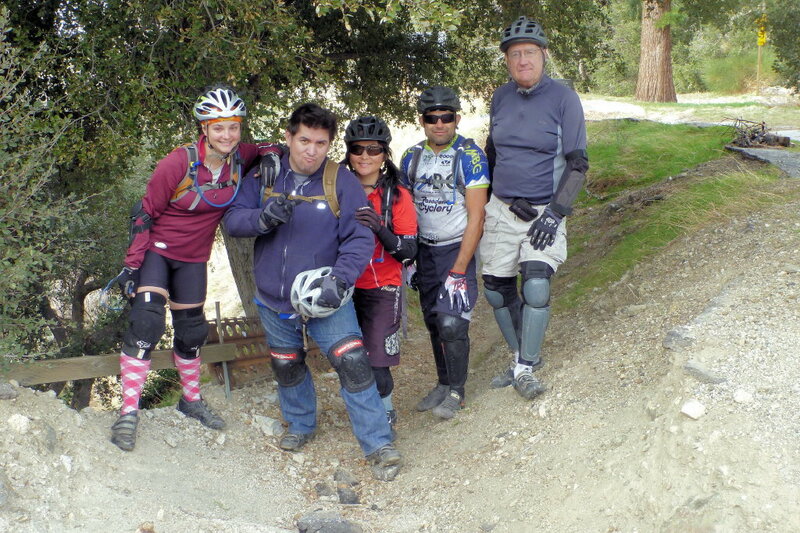 Thanks to Mitch Marich and Edward Belden for the photos. 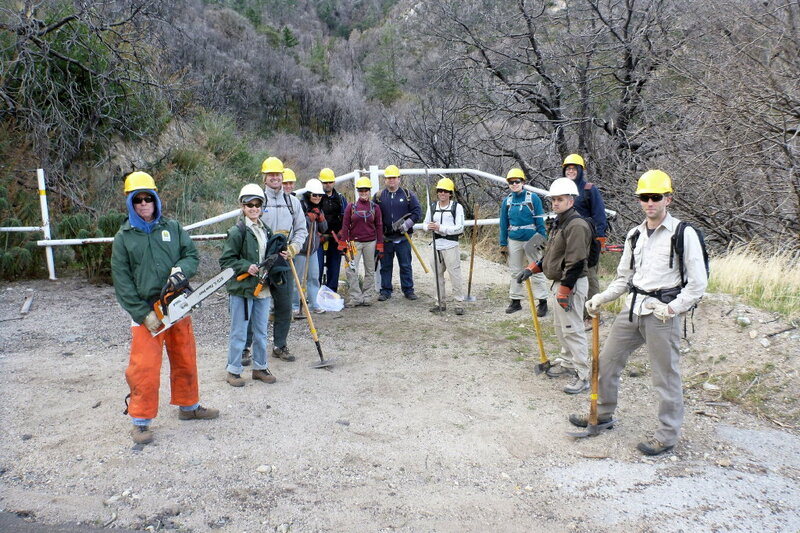 Thanks to the MWBA for organizing this extra trailwork day, and to all the volunteers who came out to give back to the trails. 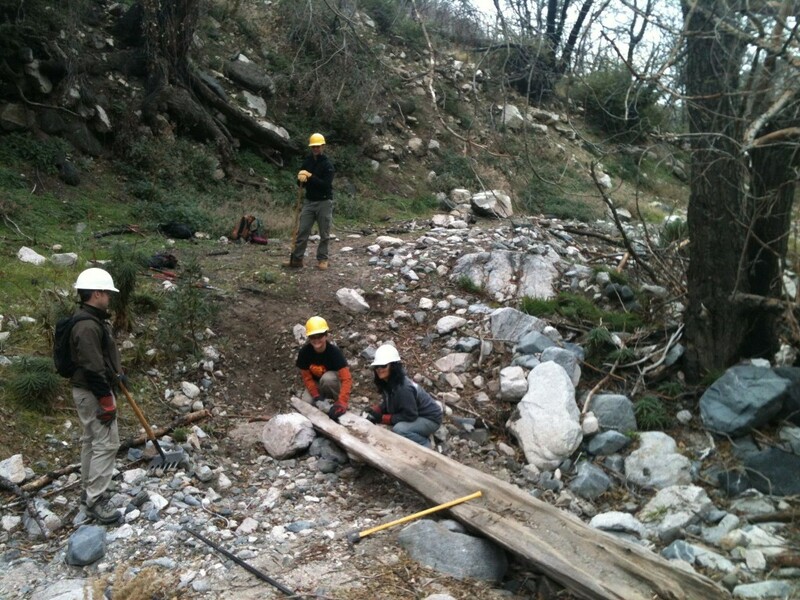 Our next trailwork date is February 19, 2012, with the location to be announced. 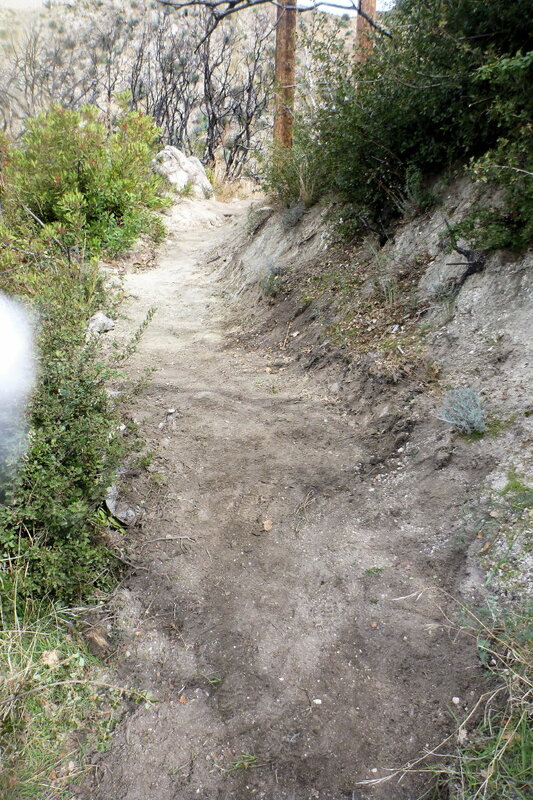 This entry was posted on Thursday, January 26th, 2012 at 1:06 am and is filed under Angeles National Forest, San Gabriel Mountains, Trail Crew, Trail Hazards. You can follow any responses to this entry through the RSS 2.0 feed. You can leave a response, or trackback from your own site.